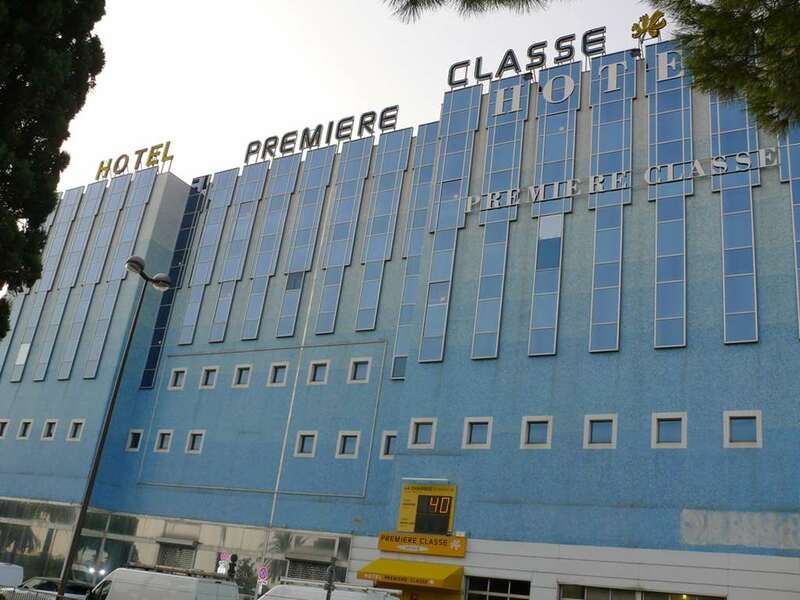 Reserve your room at our budget Hotel Première Classe Nice -Promenade des Anglais on the Côte d'Azur. Who hasn't dreamed of vacationing at the French Riviera? Our 1-star Hotel Première Classe Nice - Promenade des Anglais offers you this possibility for a small budget. Treat yourself to a stay in a bright environment with functional amenities, a warm atmosphere and a single goal: the comfort and convenience of our guests. Easily accessible, our Hotel Première Classe Nice - Promenade des Anglais is located near the Nice Côte d’Azur (just under half a mile away), highway A8 and highway N202 (under a half mile away) the central Nice SNCF train station (3 miles away) and the Nice-Saint-Augustin train station (200 yards away). Close to the Mediterranean and 3 miles from the city center, the hotel is idelaly located 400 yards from the beach. Enjoy the charm of the Bay of Angels bordered by the mythical Promenade des Anglais, at our hotel that is surrounded by cities that you absolutely must explore, whether it be by car, boat, bike or on foot: - to the west there's the Town of Antibes, near Cannes and its croisette - to the east you have Saint-Jean-Cap-Ferrat, Èze, Monte Carlo, Monaco. From the winding alleys of Old Nice to the Matisse Museum and the famous mythical Promenade des Anglais, explore the numerous attraction and tourist itineraries of the City of Nice, nicknamed the "Pearl of the Riviera". Also, take a trip to the back country to explore the mountain villages: Gourdon, Vésubie, Isola 2000… Culturally very rich, Nice abounds with monuments and sites to be visited, and big theater and concert halls like the Palais Nikaïa and the Salle du Palestre. Among the major cultural events in Nice and its surrounding areas that are not to be missed, let us mention: the Carnaval de Nice, the Lemon Festival in Menton, the Mimosa Festival in Mandelieu, the Monaco Grand Prix, the Cannes Film Festival. Nice is also a very athletic city with the Charles Herman Stadium, it's partnership with the Côte d’Azur Regional Olympic and Sports Committee CROS, the marathon and half-marathon of Nice and the Prom’Classic Race. You'll have plenty of opportunity for escapades in the great outdoors with the proximity of amusement parks such as Marineland, Mercantour Park and the Park des Loups. Also take the opportunity to visit the Gallimard and Fragonard fragrance companies, the Florian confectionery and the Vintimiglia market. 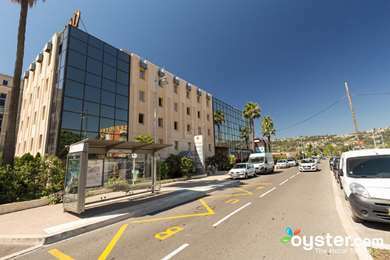 Our 1-star Hotel Première Classe de Nice is located near the Arenas Business Center, and the EDHEC school. The reception at our hotel in Nice is open 24 hours a day with a night watchman. 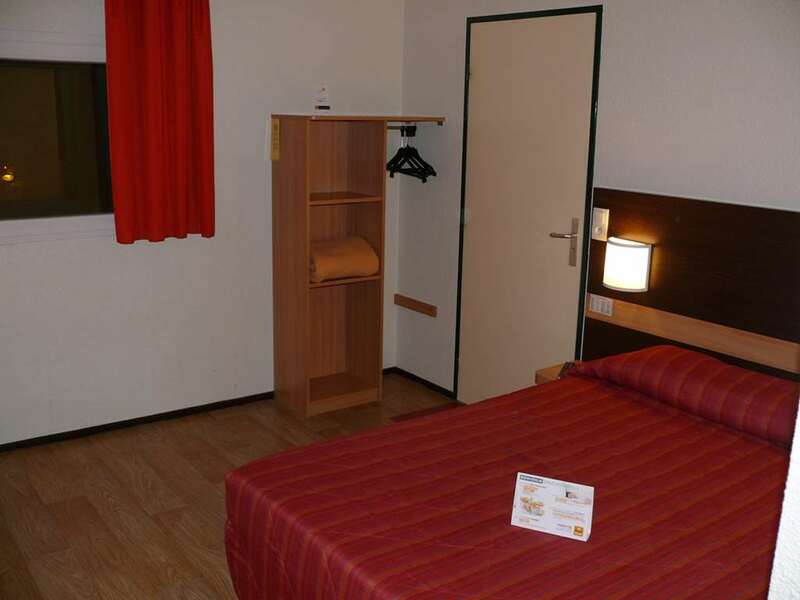 Our hotel in Nice offers 158 rooms for 1, 2 or 3 people with single or double beds and/or an overhead bunk. The rooms offer a bright environment with functional amenities and a cozy atmosphere. All our rooms are equipped with a clothes hanging space, desk with lamp, flat-screen TV with CanalSat channels, free Wi-Fi access, but also a private washroom with a shower, toilet and sink. The hotel is wheelchair accessible and has 5 specially adapted rooms for people with reduced mobility. 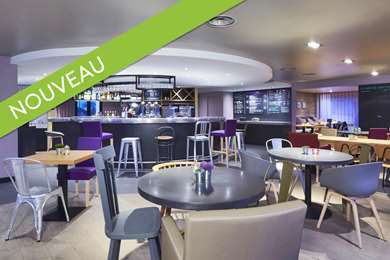 For just €5.90, recharge your batteries with the all-you-can-eat breakfast buffet at Hotel Première Classe Nice - Promenade des Anglais. Served from 5:30 am to 10:00 am weekdays, week-ends and holidays. Breakfast is half price for your children under age 10. (Offer valid for hotel guests, limited to 2 children per adult paying for breakfast.) 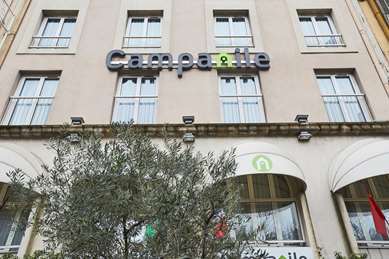 For lunch and dinner, the Campanile Restaurant in Nice is only about a quarter mile away.